The Association is an employers’ organisation registered in terms of the Labour Relations Act and exists to represent the interests of members, as well as to provide them with specialist support services to assist them in the successful running of their businesses. The membership comprises some 600 enterprises involved in the building industry and related activities in the province of KwaZulu Natal. The organisation has been in existence for 108 years and is recognised and respected by a wide range of role players in the building industry and beyond. 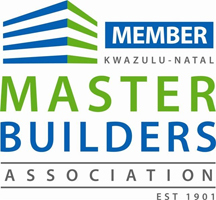 We are a member of the Master Builders Kwazulu-Natal Association .